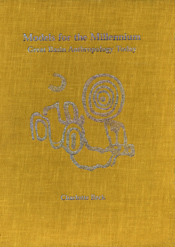 Models for the Millennium presents an overview of the development and current practice of anthropology in the Great Basin. This volume includes such topics as historical issues; models for past and present anthropological and archaeological phenomena and cooperation among anthropologists, Native Americans, and government agencies. The volume includes four sections: "Historical Development"' describes the development of ethnology, archaeology, and paleoecology in the Great Basin. "Current Issues" covers topics in general theory, paleoecology, ethnography and linguistics, prehistory, and cultural resource management. "Models of Explanation" examines various approaches to modeling aspects of the archaeological, paleoecological, and ethnographic record in such areas as subsistence, mobility, iconography, and gender. Finally, "Models of Cooperation" discusses how anthropologists, Native Americans, and various agencies come to terms with such issues as burial and sacred sites, range blight, and the destruction of the archaeological record. "An excellent compendium of wide-ranging, primarily professional papers illuminating the development of Great Basin anthropology, its current status, and where the authors believe it may go in the future." "The volume provides a valuable stocktaking of the current status of anthropological research in the Great Basin, and Charlotte Beck and the University of Utah Press are to be roundly thanked for their excellent work in presenting it to us." "The volume is carefully edited and handsomely produced. Aimed at researchers and academic anthropologists, it holds interest for serious students of human settlement in the Great Basin." "The volume succeeds admirably in capturing the tenor of anthropology in the Great Basin today. It leaves the impression of a healthy vibrant field with a diversity of viewpoints and a great deal of exciting new work."